The Agreement between the Government of the Republic of Serbia and the Government of the People's Republic of China on mutual visa exemption for holders of ordinary passports, signed in Riga on 5 November 2016, will take effect on 15 January 2017. From that date, nationals of the Republic of Serbia and of People's Republic of China who are holders of ordinary passports, will have right to enter into, transit through and stay on the territory of the other Party without visa in the period not exceeding 30 days. 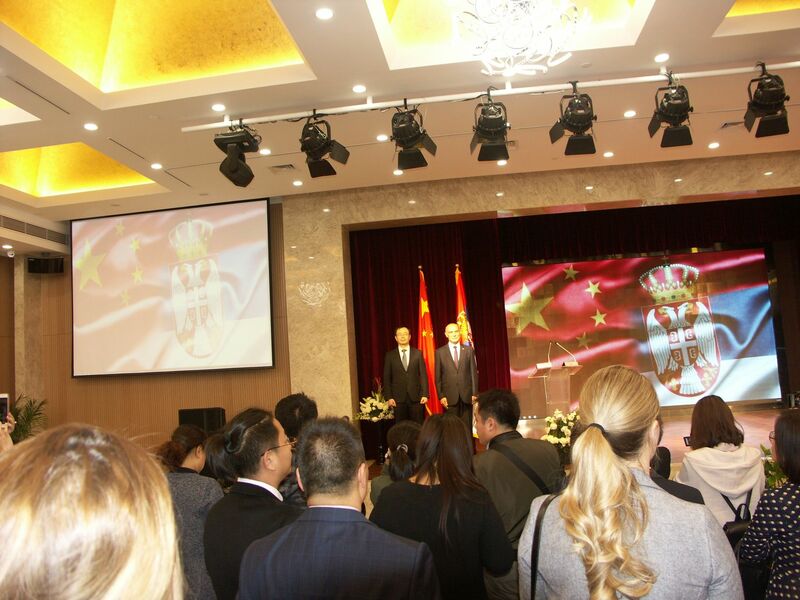 National Day reception was held in Beijing on Friday, March 22nd. The event was realized after a month of delay out of respect for the China’s Spring festival. 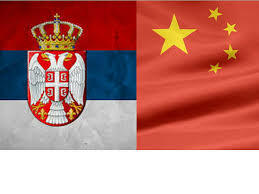 Ambassador Bačević stressed the long tradition of friendship between the two countries and expressed that he is very proud of the fact that the relations between the two countries elevated to the level of comprehensive strategic partnership, that was established during the visit of President Xi Jinping to Serbia in 2016. He announced that in April President Aleksandar Vučić will take part in the Second Belt and Road Forum and Prime Minister Ana Brnabić will participate at the "16 + 1" Summit in Dubrovnik. Speaking of the achievements of bilateral cooperation, Ambassador Bačević expressed satisfaction with the progress of infrastructure projects, of which the most important is the modernization of the Belgrade-Budapest railway that serves as a part of a wider structural connectivity network between southern and central Europe and China. 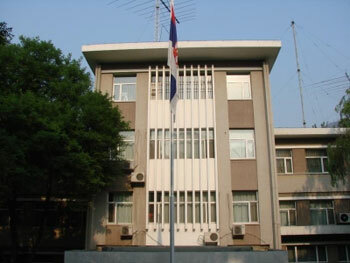 Direct Chinese investment in Železara Smederevo plays a special role for the development of the Serbian economy. 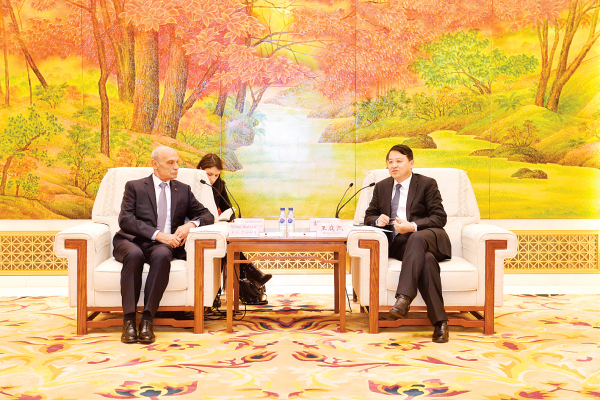 Better mutual understanding between peoples and culture exchanges are the basis of deepening of relations between two countries where the Cultural Center of Serbia "Ivo Andric" in Beijing has a great importance. The Ambassador reminded on the 20 years anniversary of the NATO bombing of Serbia during which China and its people then, as now, were with the Serbian people, defended their position based on international law and jointly suffered a tragedy. He also thanked for Chinese support to the sovereignty and territorial integrity of Serbia. Special guest was Deputy Director of the European Department of the Chinese Ministry of Foreign Affairs Mr. Lu Shan. 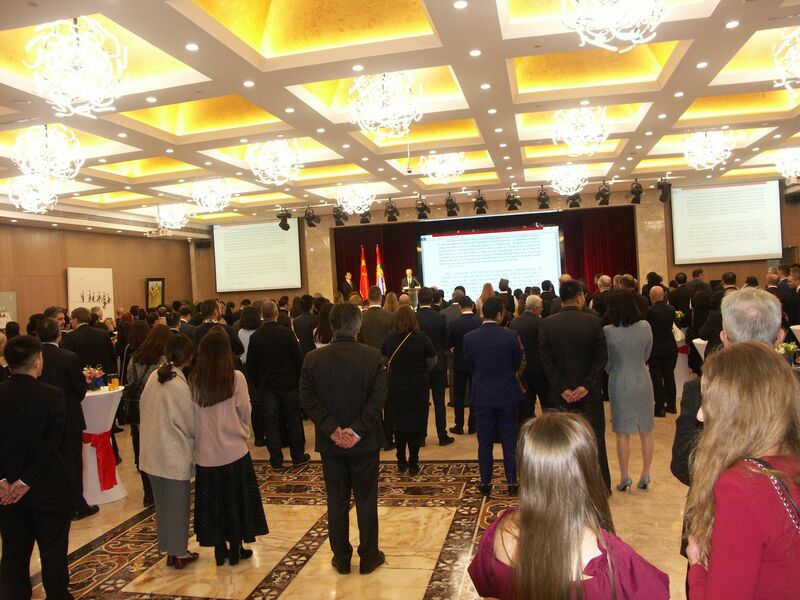 Around two hundred fifty attendees, including representatives of the diplomatic corps, party and state officials, representatives of provincial governments, business people, artists, professors, students and part of the Serbian diaspora attended the event. Ambassador Milan Bacevic visited the city of Jilin of Jilin province where he talked to Party Secretary of the City Committee Mr. Wang Tangkai. In his welcoming word to the ambassador, who has been to Jilin trice, Secretary Wang expressed his gratitude for ambassador’s personal contribution in encouraging the development of cooperation between Jilin city and Serbia and expressed his expectations for expansion of cooperation fields concluding there are great potentials for it, especially in regard to the complementary advantages of Serbia and Jilin. 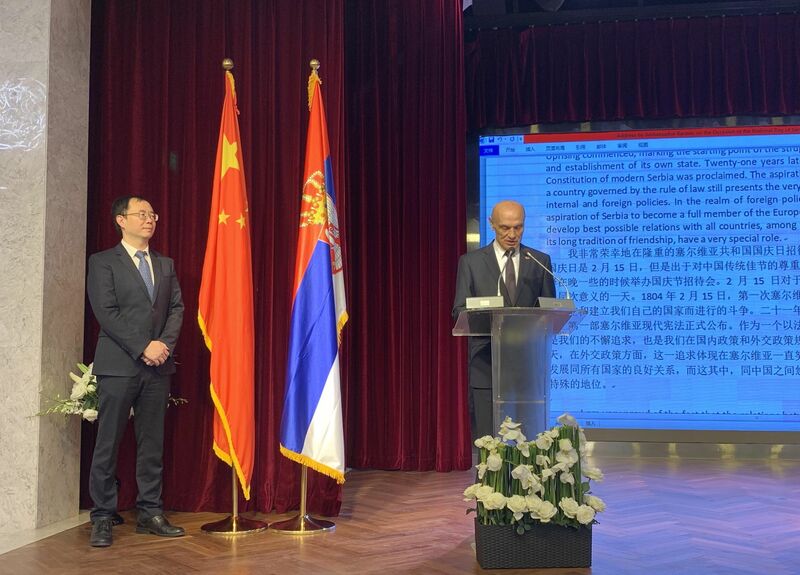 During his visit of Jilin, ambassador Bacevic hosted a business forum where he presented investment opportunities and strategic projects in Serbia in which companies from Jilin can also take part, following the example of successfully realized Serbian-Chinese projects. 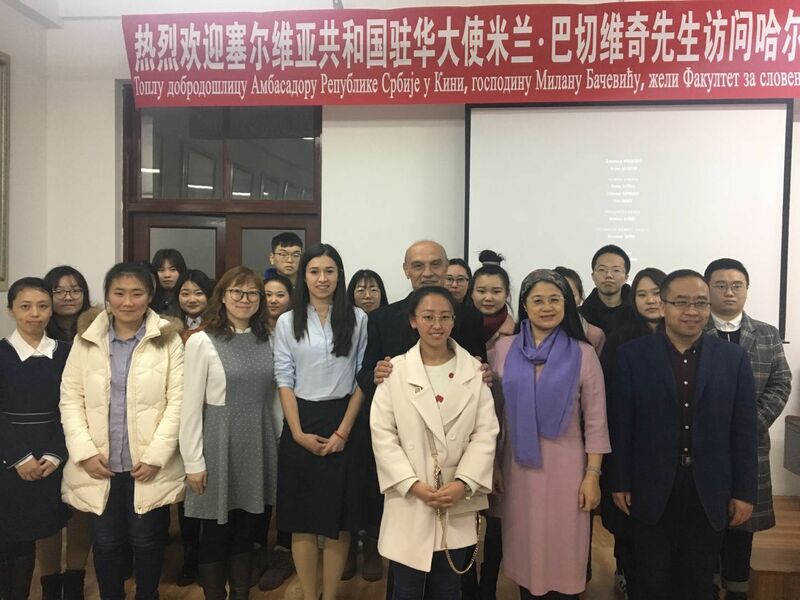 Аmbassador Milan Bacevic visited Harbin 25-28 February 2019, where he was welcomed by Mayor of Harbin Mr. Sun Zhe. 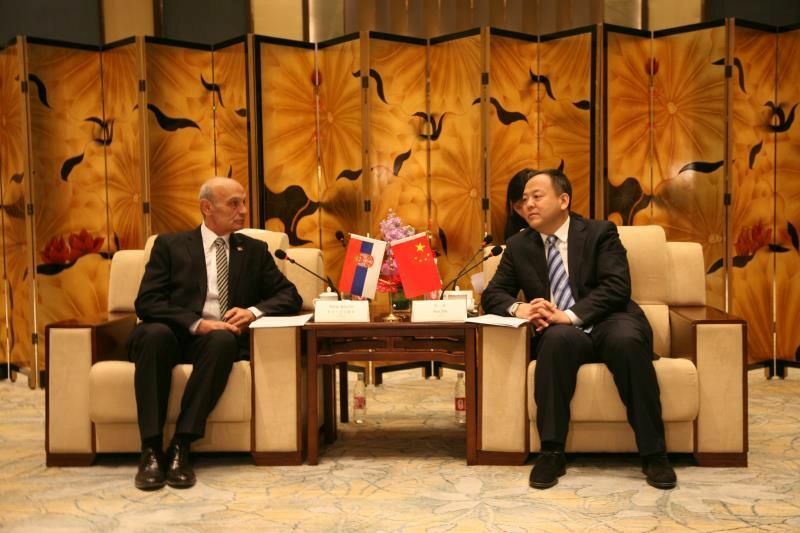 The meeting of two officials featured the recently established sister city relations between Harbin and Uzice as well as the complementarity of their cooperation. During his visit to Harbin, the Ambassador visited the Faculty of Slavic Studies of the Harbin Normal University and met with rector Mr. Sun Lijun, with whom he exchanged views on promoting of the Serbian language course and ways of intensifying the students exchange. Ambassador Bacevic spent time in conversation with students who after watched the movie “Lullaby for Soldiers”.